Before Vesper undergone its development earlier this month. The group bar Manager Supawit ‘Palm’ Muttarattana added this menu in August. 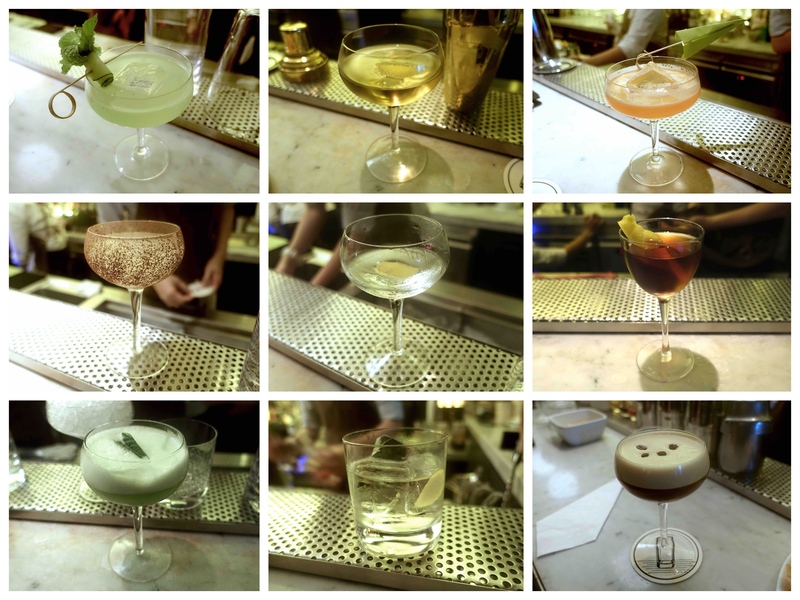 Aiming to offer more options for customers to learn more about post-prohibition cocktails recognized as ‘Modern Classic’ and there are 15 of them (at that time). He tried to pay homage to the original recipe as close as possible but with a bit of adjustment, he finds suitable for palette here and some ingredients that are not available. I find them to be easy to drink on the sweet side with lightness and fruitiness. I know I’m late for posting this 3 months after its released. I’d go through them short and brief. After finished reading this, you might know what to try on your next visit after their re-opening. There might be some changes in the menu though. Words: (On that night it was Tanqueray Bloomsbury) Clean, very light bodied. Rounded and linger with warm juniper then sweet berries, delicate citrus and little bitterness. Words: Fresh basil and herbaceous sweet stay in from the beginning though a layer of soft foam to a light finish. Words: Bright pale orange. Thin body with soaring fresh snappy sugary and sourness. Words: Icy cold with a medium rich smack of berries and sharp sweet end. Words: (On that night it was Tanqueray Old Tom Gin) Has pale yellow and effortlessly easy to sip for its lightness that Suze leads a bit above all. Words: A quasi-moist and bittersweet sip that coats your mouth with herbal of cyan and the soft bite of aquavit with a crisp medium long finish. Words: The smokiness from Islay is a short and intense bridge linking a fiercely rich swing of sweet and sour with a bit of spiciness to take down in no time. Words: A full bundle of whiskey and vermouth that further seeps into the pleasantly fruity finish. Words: Some floating bubbles are on the surface. Tanginess twirls in with bourbon and traces of herbals. All becoming more explicit in each sip. Words: Flurry foam with very light body. Quite a persisting sweet and mildly creamy with little bitterness. Words: All the ingredients brighten up both palette and nostril having Rum and Absinthe cradle behind its lightly medium texture. Words: A quick sheerly connecting steps of sweetness. Start off with Crème de Cacao, Galliano and Rum. It ends with a bit sharp and creamy from chocolate powder that steers the sweetness away. Words: Orange and Angostura give a big salute ahead of the creamy coarse tingling spirits that come to short and robust caramel-like stop. Words: After the taste of salt. It’s a to and fro of lime and agave before warm and a little rough velvety tequila after swallowed. Words: A hard blow of Chartreuse which was later eased by acidity from juices. Mint leaves and grated nutmeg settles a short and soothing stop.